Mt. 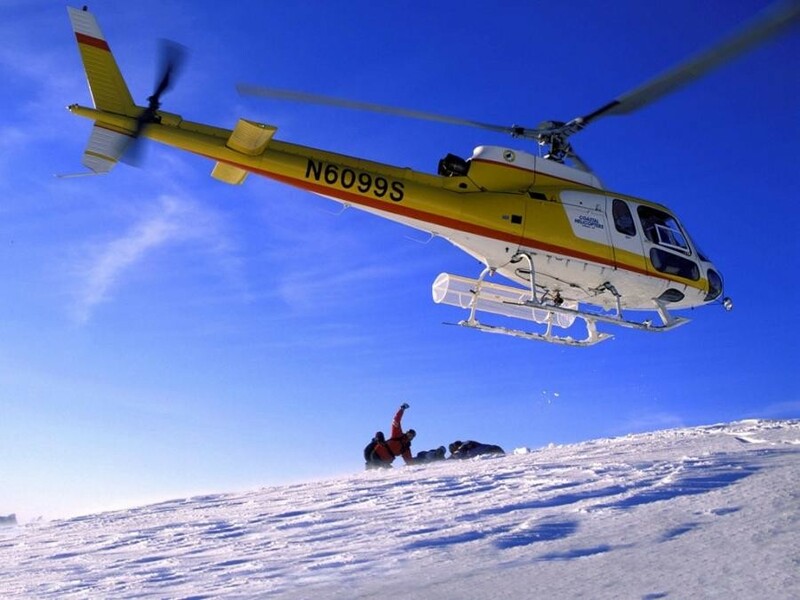 Kailash can be visited by Helicopter for those who have limited time in their hands. Fly from Kathmandu to Simikot by fixed wing and a short ride by helicopter to the Nepal/Tibet boarder Hilsa, walk for a while to enter the Tibetan Immigration and a short drive to the Town of Taklakot where you will acclimatize for a night halt.The entire region of Mt. Kailash is of important religious significance and includes the two turquoise-blue, pristine high-altitude lakes of Mansarovar and Rakshesa. Mt. 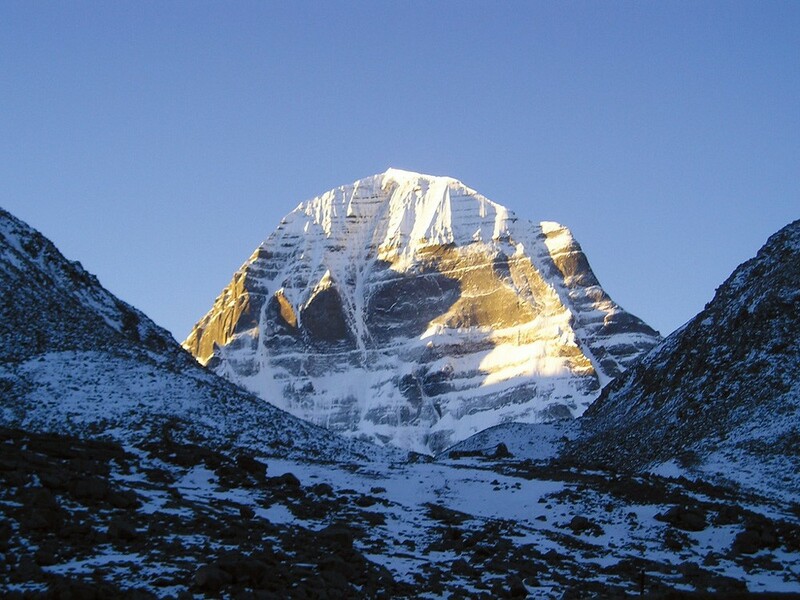 Kailash is regarded holy by followers of several religions. 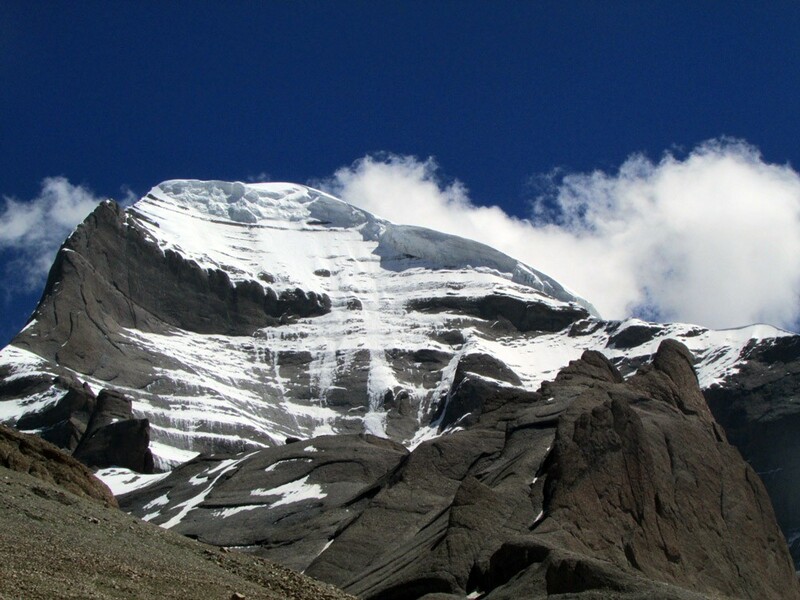 To Hindus, Kailash is the abode of Shiva and nearby Manasarobar Lake, the soul of Brahma. Tibetans call Kailash Kang Rimpoche. Jains worship it as Mt Ashtapada, the peak from which the religion's founder, Rishabanatha, achieved spiritual liberation. And the followers of Bon-Po, the ancient pre-Buddhist shamanistic religion of Tibet, revere Kailash as the soul of Tibet. Day 01: Arrive Kathmandu & transfer to your hotel and evening Briefing about the Kailash Manasarovar tour. Overnight at Kathmandu. Day 02: Morning visit Pashupatinath temple and afternoon transfer to the airport for your flight to Nepalgunj. On arrival transfer to hotel and rest. Day 03: Early morning transfer to airport and flight to simkot for immigration formalities then Proceed to Hilsa by chartered helicopter flight. After arrival at Hilsa, we set out for Purang, a short walk to cross river Karnali and get into Tibetan border where our land cruisers will be waiting. After brief introductions with our Tibetan guide, we will drive for Taklakot [known to Chinese as Purang] and on arrival transfer to guesthouse and rest. Day 04: Full day free to acclimatize and relax at Taklakot. Day 05: Drive from Taklakot to Manasarovar Lake (120 km – 3 Hrs). You will have fullday for holy bath and Puja or just relax at the edge of holy Manasarovar Lake. Overnight at camp or guesthouse. Day 06: Drive to Tarchen then Austpath (if Allowded by Chinese Authority) & perform puja at Astapath. Overnight at Hotel in Tarchen. Day 07: Trek to Dehara Puk/5000m. We Start Kailash Parikrama drive to Tarpoche (Yamadwar) then trek to Dira Puk [12 Kms 4-5 Hrs. ].It is one of the exciting days walking along the beautiful rocky cliffs; waterfalls with some clouds in the clear blue sky makes you feel the Great God Shiva is everywhere with tons of blessings to you. Time to time the face of Kailash Parbat will keep on appearing. For 18 km trail, it takes almost 7 hrs. Day 08: Continue Parikrama over Dromala pass to Zuthul Puk [22 kms 7-8 Hrs.]. Overnight at camp. Day 09: End Parikrama near Darchen [9 kms 3-4 hrs]. Drive to Taklakot. Overnight at guesthouse or camp. Day 10: Early morning drive to Hilsa via Khojarnath Temple [an ancient Temple of Lord Ram, Laxman and Sita]. From Hilsa helipad flight back to Simkot. After immigration, proceed for Nepalgunj by chartered helicopter or aircraft [fixed wing]. Arrive Nepalgunj & further, proceed to Kathmandu by flight [fixed wing]. Overnight at Kathmandu. Day 11: Final Departure OR transfer for onward journey. Two Nights’ accommodation in Kathmandu on a twin share basis.03 Star Hotel. Sharing Accommodation in TIBET using guesthouses/camping [as per itinerary. 01 Night Hotel Accommodation in Nepalgunj. TIBET visa authority, monument entrance fee & permit fee. Kathmandu / Nepalgunj / Kathmandu airfares including insurance and airport taxes. Nepalgunj to Simikot to Nepalgunj Airfare. 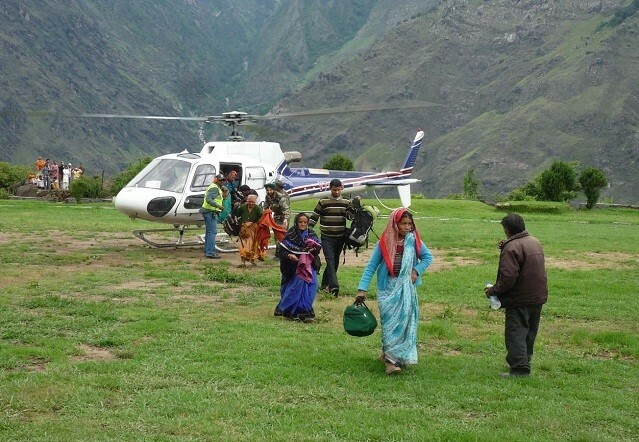 Simikot to Hilsa to Simikot Helicopter fare. Transportation by Bus in Tibet. Using extra nights in a lodge (except the mentioned on itinerary). In case of natural calamities i.e. political unrest, cancellation of flight due to weather. landslides etc the extra charge should be born by themselves. Packing List (Yatries needs to bring along with them). Enough clothing for the whole Yatra. Do not overload your bag. First aid kit (our guide also will carry). Toiletries’ kit (soap, shampoo, toothbrush, towels etc). Sports shoes & Trekking boots (Good one for walking). Sun lotion cream. Lip guard. • A small day pack. • Enough clothing for the whole Yatra. Do not over load your bag. • First aid kit (our guide also will carry). • Toiletries’ kit (soap, shampoo, toothbrush, towels etc). • Water bottle / Thermos/ Flask for hot water (2 liters). • Woolen socks (around 4 pairs). • Underpants (3 or 4). • Nuts, Biscuits, Dry fruits, Powder juice. Note: Down Jackets and Sleeping bags will be provided by Eco Trek on returnable basis.